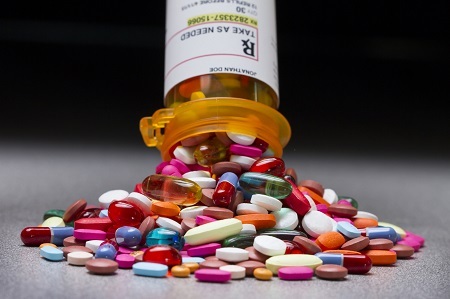 The U.S. Department of Justice Drug Enforcement Agency (DEA) is hosting its 17th annual National Prescription Drug Take-Back Day on April 27th, 2019 from 10AM – 2PM. National Prescription Drug-Take Back Day is a nationwide event that aims to provide a safe, anonymous, convenient, and responsible means of disposing of prescription drugs, while simultaneously informing the general public about the potential for medication abuse. If it is time to clean out your medicine cabinet and you want to take part in reducing the risk of prescription abuse, consider visiting one of the San Diego Take-Back Day locations mentioned below. Medications that are unused, expired, or lost are a public safety issue as it can lead to accidental poisoning, overdose, and abuse. Prescription drugs that go unused and are thrown in the trash can easily be retrieved, abused, or illegally sold. Prescription and pharmaceutical drugs can be equally as dangerous as street drugs when taken without a doctor’s supervision. Below is a truncated list of San Diego, California locations that will be open April 27th 10am-2pm for Drug Take-Back Day. If you are looking for a different location in San Diego not listed here (or any other city nationwide) drop off locations by city and state are available here. If you are interested in safely disposing of prescription drugs, but are located outside of San Diego, please check out these national resources. If you, or someone you know, needs help kicking drugs or alcohol for good, we can help. Visit this link to learn more about Inpatient Drug Rehab and Alcohol Treatment in San Diego or call us at (800) 977-6110.